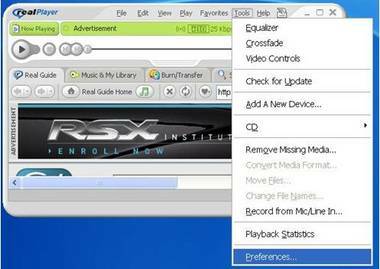 The following tutorial describes how to configure RealNetwork's RealPlayer 10 with Your-Freedom. Go to Realplayer's "Tools" menu, then select "Preferences". 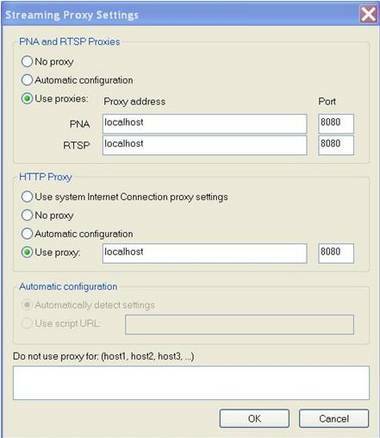 Select the category "Connection -> Proxy" in the "Preferences" tree. Go to "Streaming Settings" and click on the "Change Settings" button.